March Mayem is complete in Faribault! 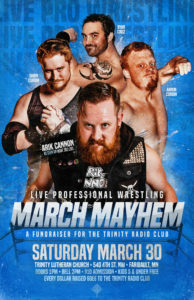 What an awesome day of wrestling, raising funds for The Trinity Radio Club. Check it out!